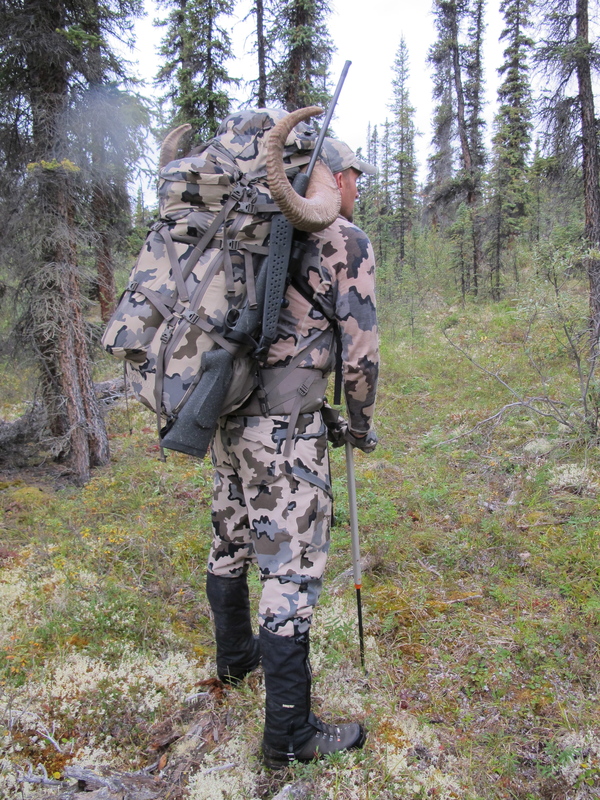 I am on my way home from a fantastic hunt and adventure with Arctic Red River Outfitters. 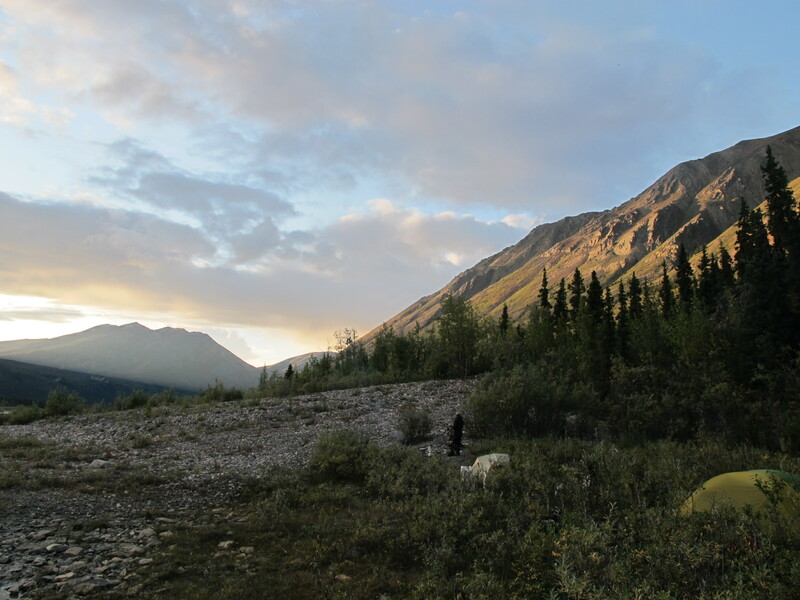 The Mckenzie Mountains are absolutely spectacular. 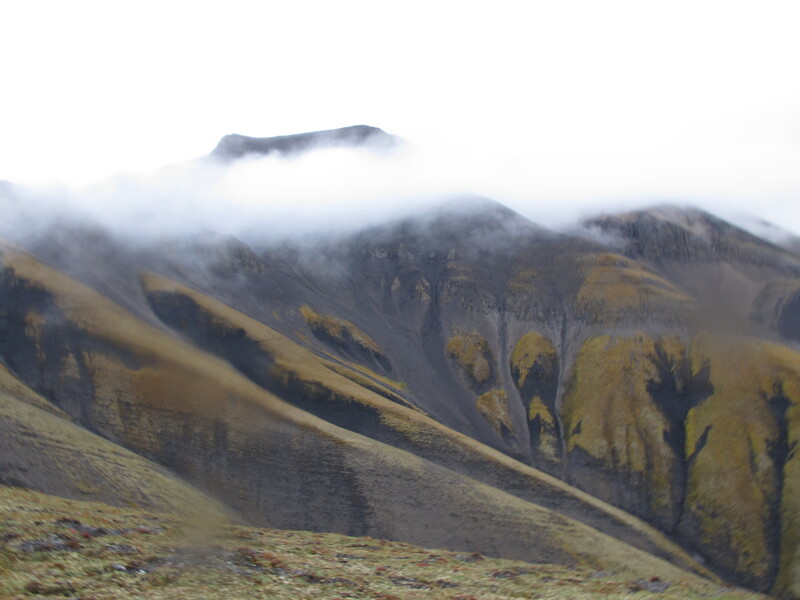 Breathtaking Scenery, lots of game, challenging terrain and weather to test your gear body and mind. Tavis runs a 1st class operation and pays attention to the smallest details. My hunt could not have gone better. Below is a brief highlight photo essay of my hunt. I will follow up with a gear review and breakdown from the trip later this week. I hope you enjoy the photo & highlights of my hunt. 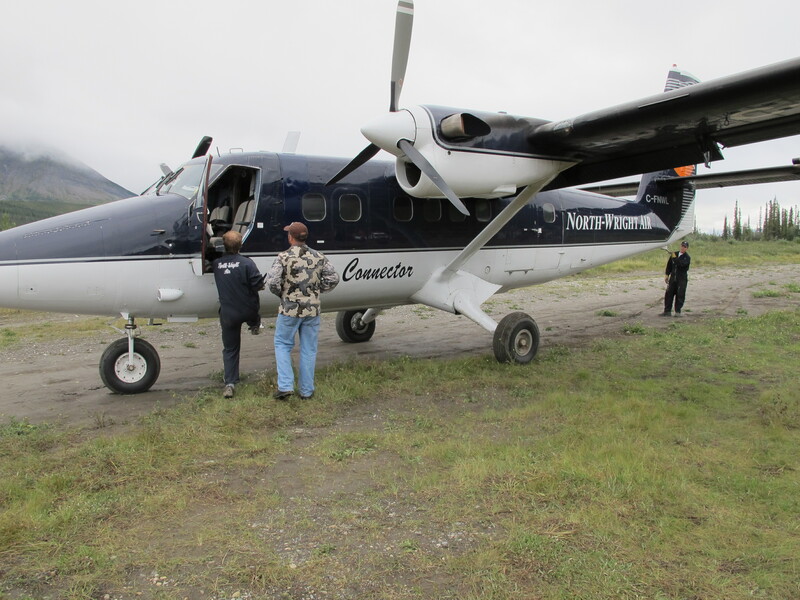 We flew into base camp on a Twin Otter, a 45 minute flight from Norman Wells on August 16th. 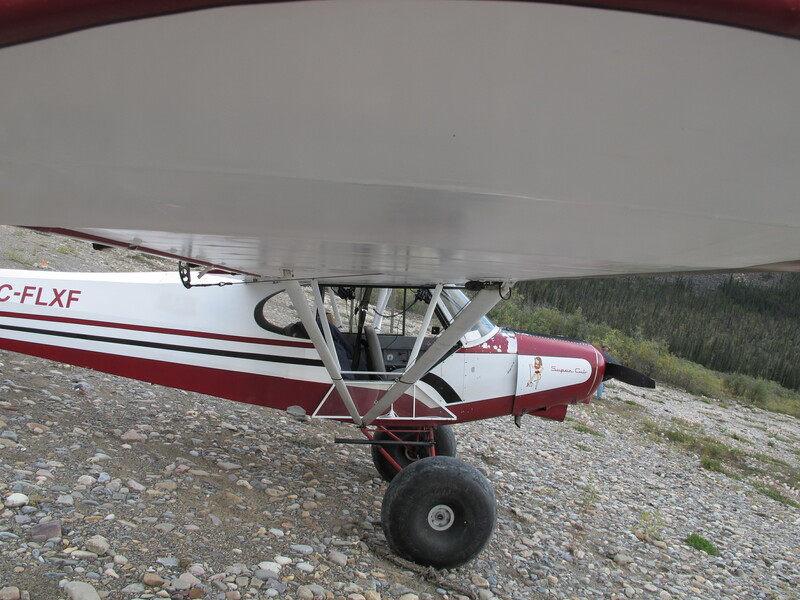 Tavis loaded my gear and I into his Super Cub and flew us into a gravel bar landing strip they call “Canyon Strip” not far from the Yukon border. We camped the 1st night at Canyon Strip. 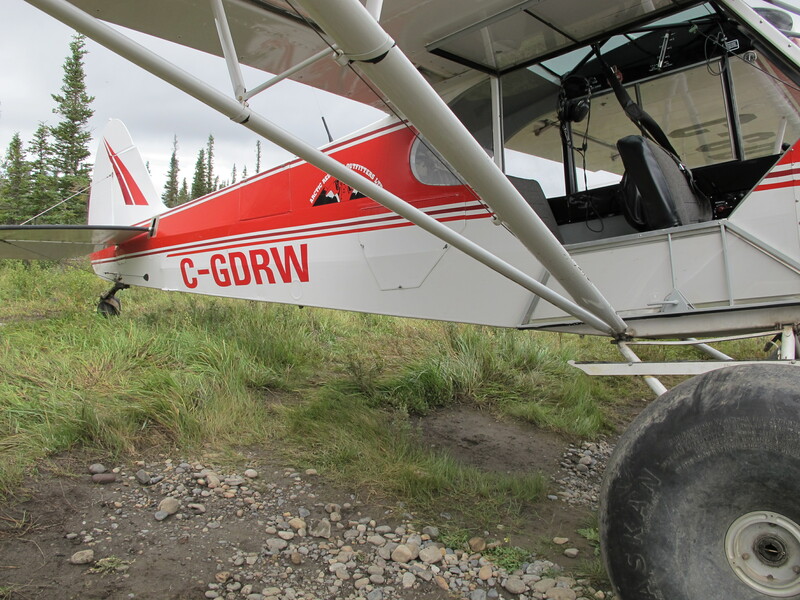 Kent, my guide who was flown in the day before had already spotted 4 rams across the river from camp. Later that evening I spotted 4 rams in a draw several miles up stream. We could see horns from a long ways away and there were two potential rams in this group worth a closer look. These rams were in the opposite direction from the hunt Kent had planned for us on Canyon Mountain and in area that has never been hunted due to logistics. He asked me what I wanted to do. It was an easy decision, head for these rams. It would take us a whole day to get there. 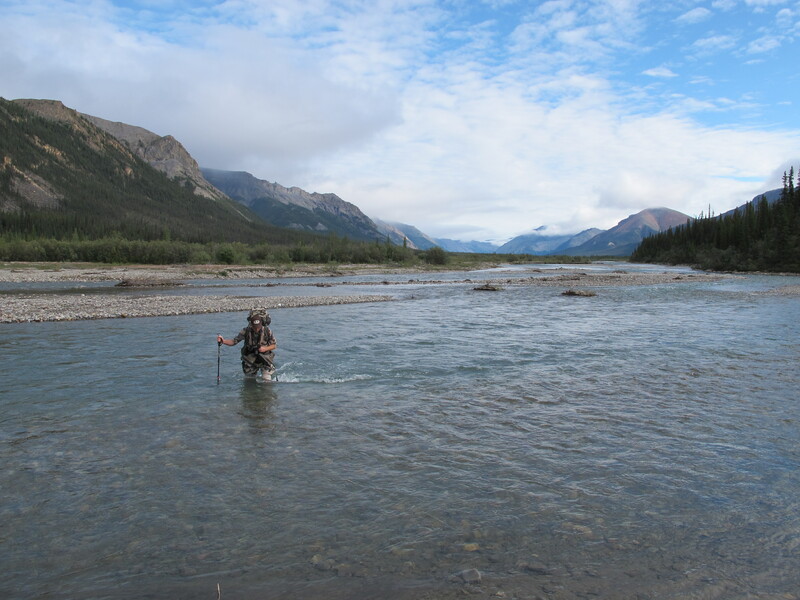 After hiking, bouldering and wading rivers all day we close the distance on the rams. 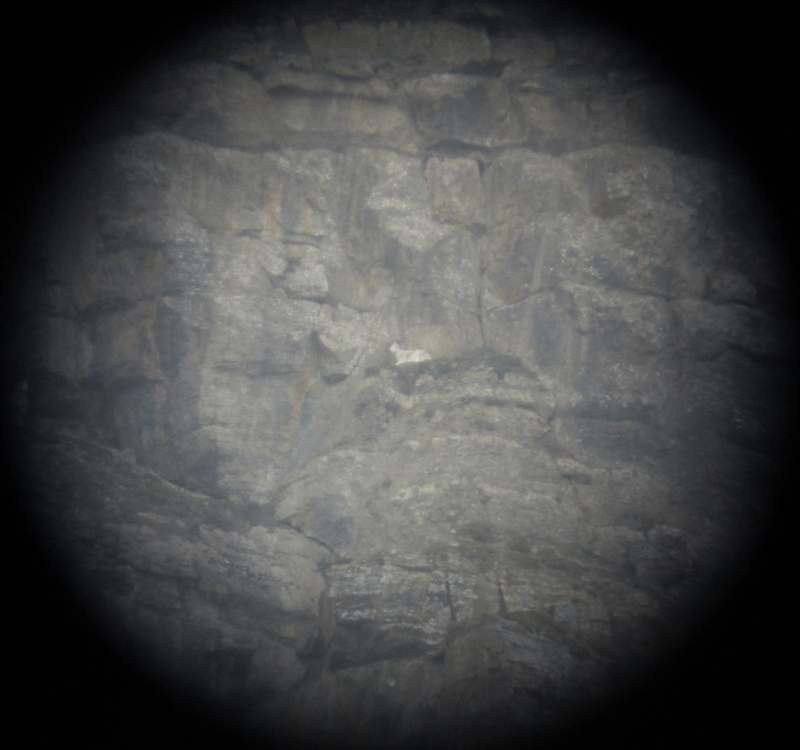 Kent relocates them bedded in some high cliffs at the end of a ridge around 7pm. The ram on the left is a heavy broomed ram that and the ram on the right is “tipped on both sides” with a deep curl. They are too far away to put age on them. The broomed ram (on the left) is heavy but has a tight curl. The ram on the right is absolutely beautiful. He has a deep curl, holds his weight out in his lamb tips and is really wide. It is too late to make a move on them and we decide to wait until tomorrow to get closer and age this ram. I try to talk Kent into a stalk that evening and he reminds me it is the 1st day and to have patience. We woke to a low cloud ceiling that did not lift until after 11am. The rams were gone. They were on a point above the river last night and we were sure they had disappeared into one of the two drainages above us. 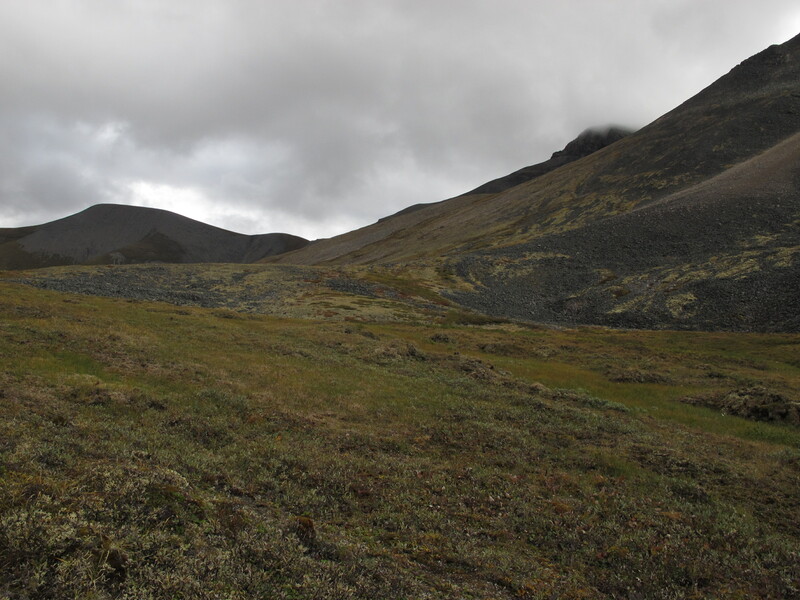 Our plan was to hunt up the drainage to the left and if we could not locate them circle around to the drainage to the right. We knew they had to be in one of the two. The rams were not in the 1st drainage so we hiked out and circled around to the second. 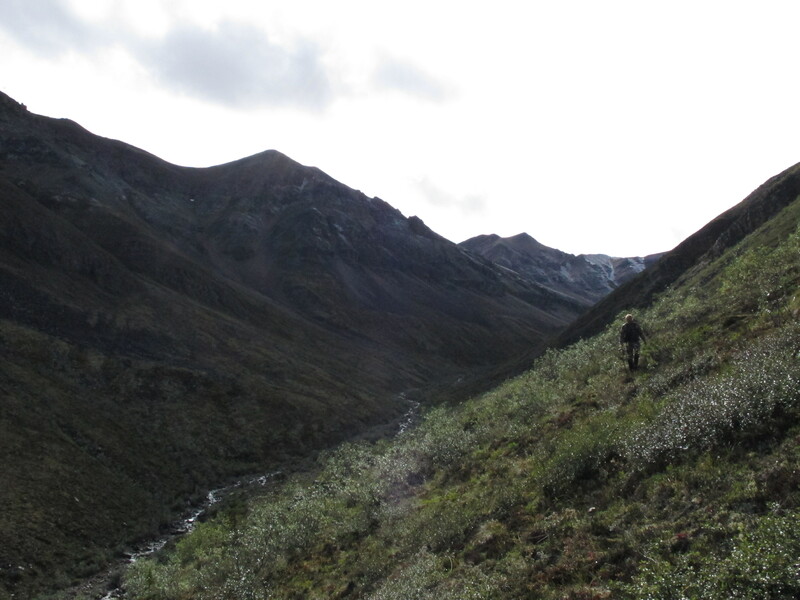 We hike into the second drainage around 5 pm. 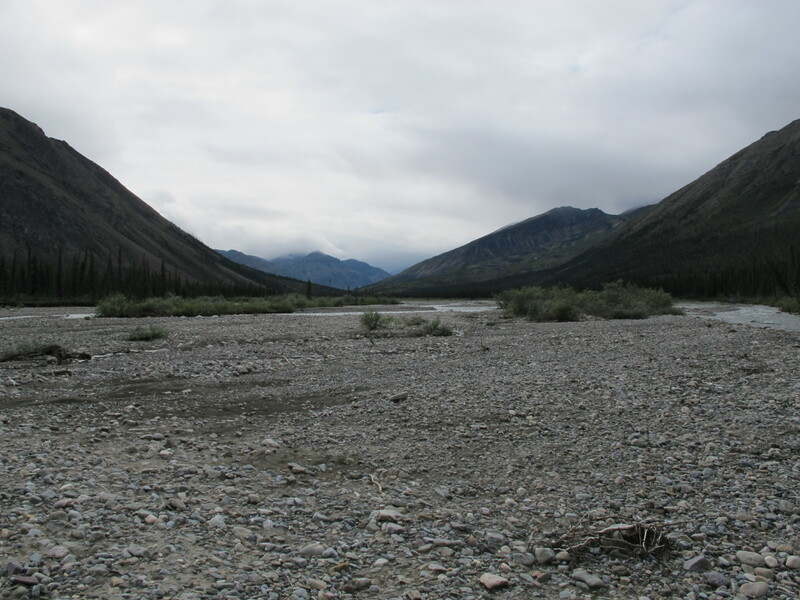 This drainage is split by a ridge you can see in the center of this photo. 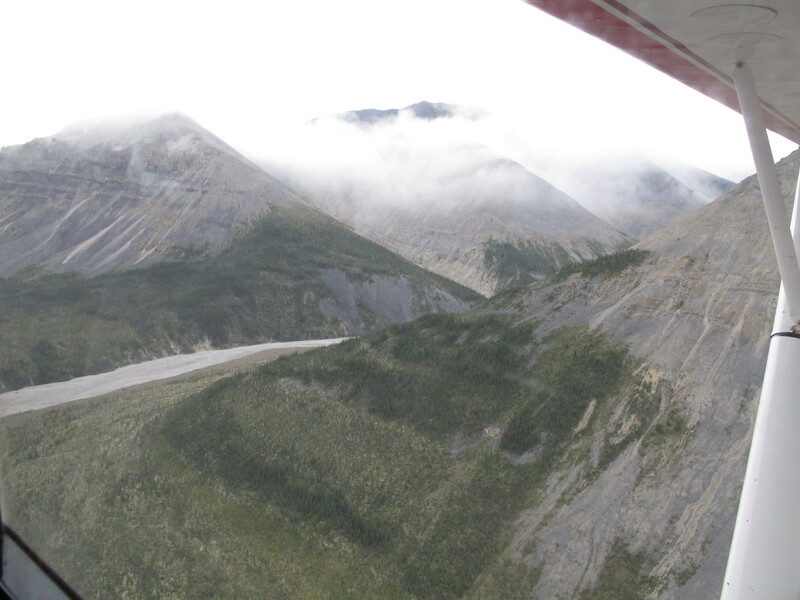 This basin is very steep with cliffs, boulder slides and shale at the head of it. We climbed up this center ridge which in several parts of the climb were so steep they required you to use your hands to keep ascending. I relocate the rams bedded at the very top just to the right of the ridge. All four rams were bedded on a black shale bench, this was one of the most beautiful scenes I have ever seen hunting. White Sheep on black shale. 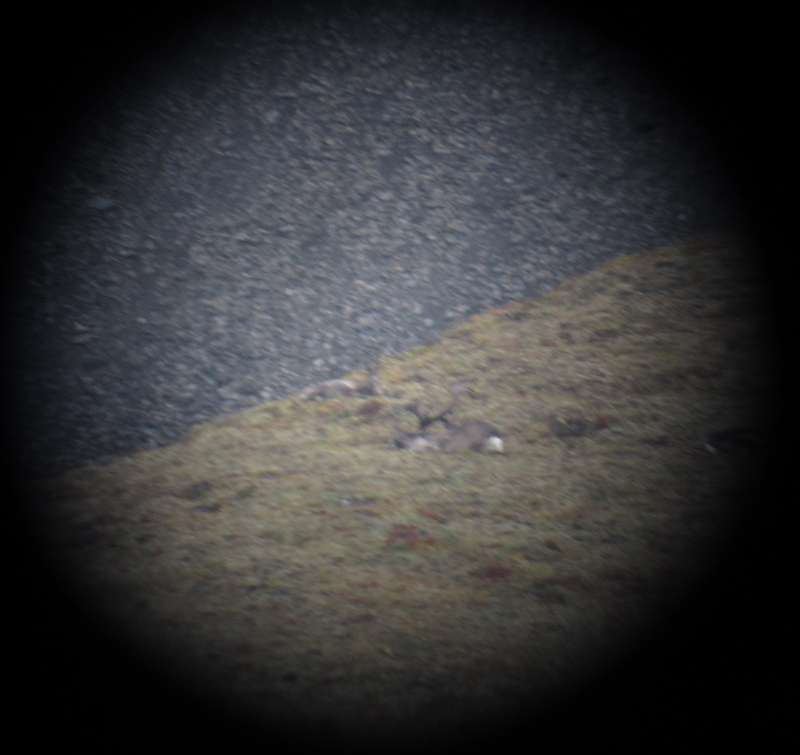 They are now at 568 yards and we drop off the top of the ridge to stay out of sight begin a stalk to close the distance. We closed the distance down to 240 yards. I double check my rifle and sneak over the ridge to set up for a shot. The rams were gone. We knew they had not spooked and they had to be close so we held tight; It was getting late and we figured they had just gotten up from their beds. Then we could hear them above us at the head of the basin walking in the shale. 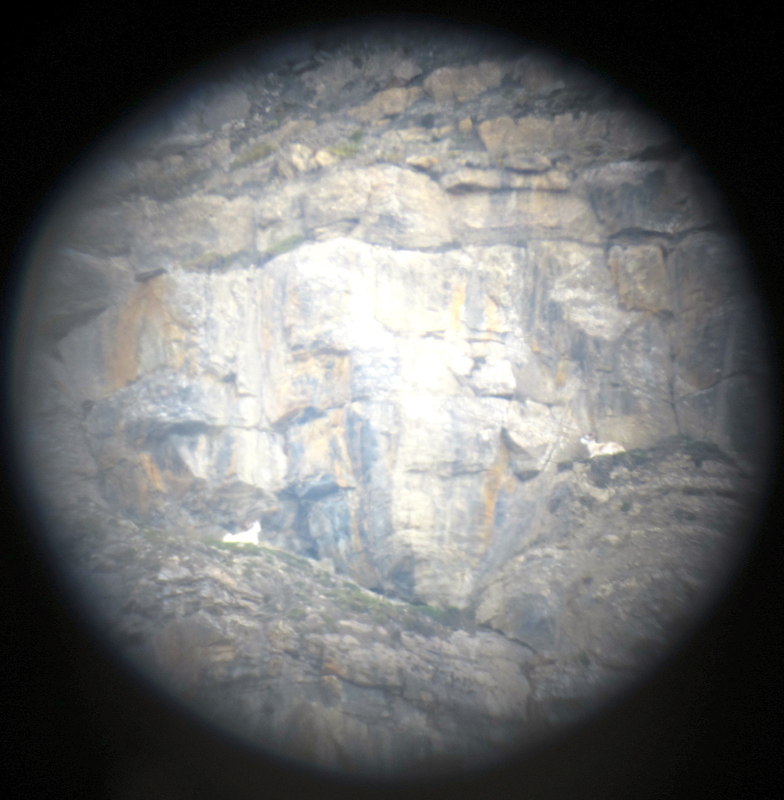 A large rock outcropping was blocking our view and we could not get closer. We set up to shoot and waited. 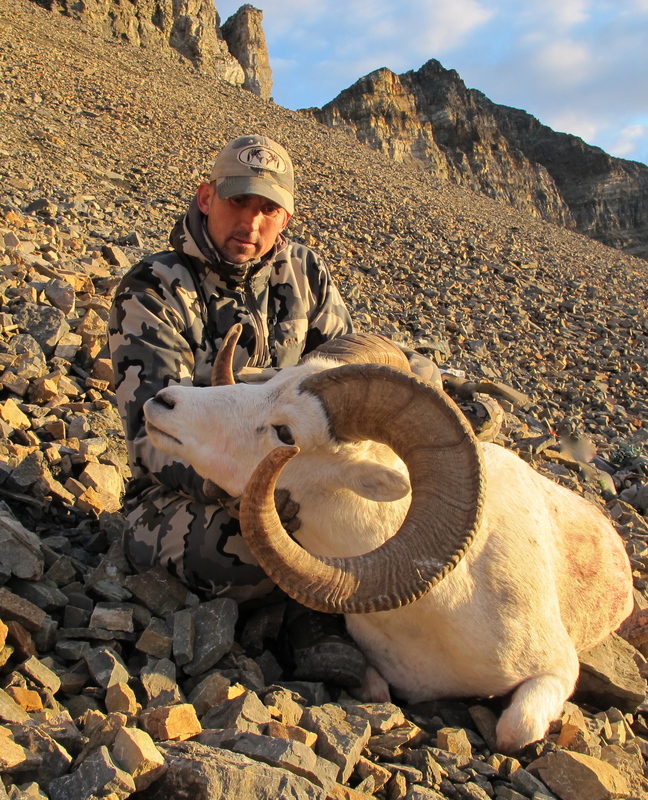 The wind began to swirl and the rams and lined out above us at 328 yards. Kent put the scope on the big ram and counted 10 rings and said shoot. He reminded me we were shooting straight up, which I mistook as a reminder to hold high. I put my 350 yard mark in my recital behind his shoulder and squeezed the trigger. I shot right over the ram’s back. They took off on a run to our left. The rams stopped and looked back at us. I put my 300 yard mark on him and squeezed the trigger. I heard the impact and Kent telling me good shot and the ram was down. What a moment. It was surreal. All the preperation, training and planning came together so quickly. I had just shot the ram of my dreams. My ram is absolutely beautiful. Wide with a deep curl, both lamb tips and good mass all the way out. He is 10 years old, 13″ bases 39 x 39″ and grosses over 159″. I could not have been happier. What a ram. It took us most of the night to pack ram off the mountain getting back to camp at 3:30am. 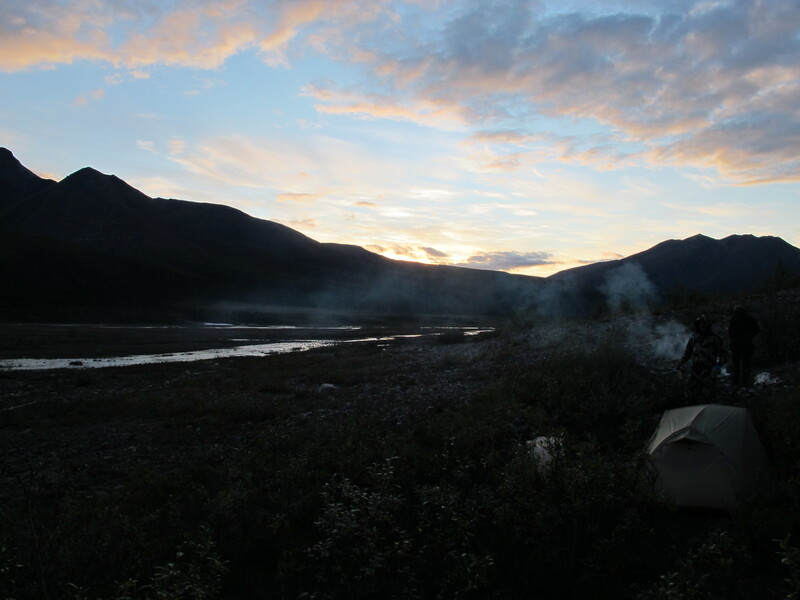 We spent day-3 preparing the cape and eating sheep backstrap and arranging a flight from Canyon Strip to a new area to hunt Mountain Caribou. Day 4 took us most of the day to get to the strip. 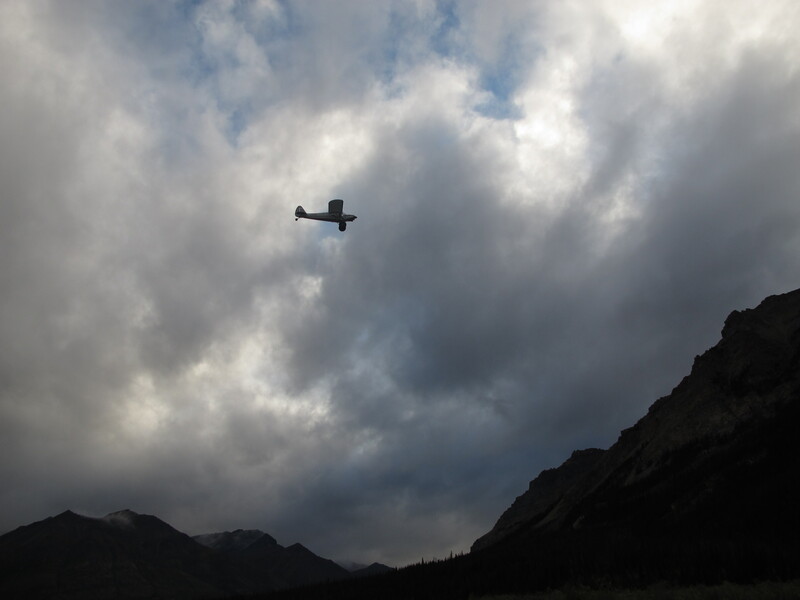 Tavis and Ron fly in around 8pm and move us to a new drainage to hunt Mountain Caribou. 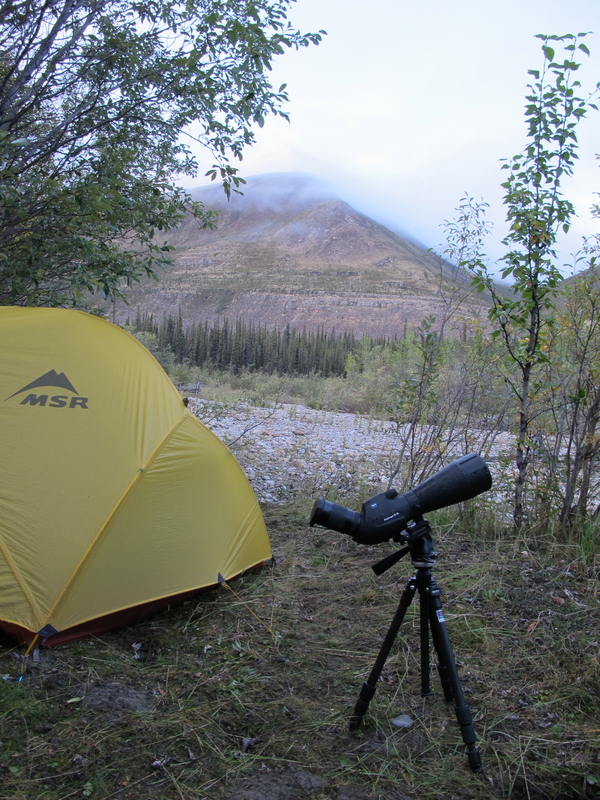 We spend day-5 above camp glassing for bulls. 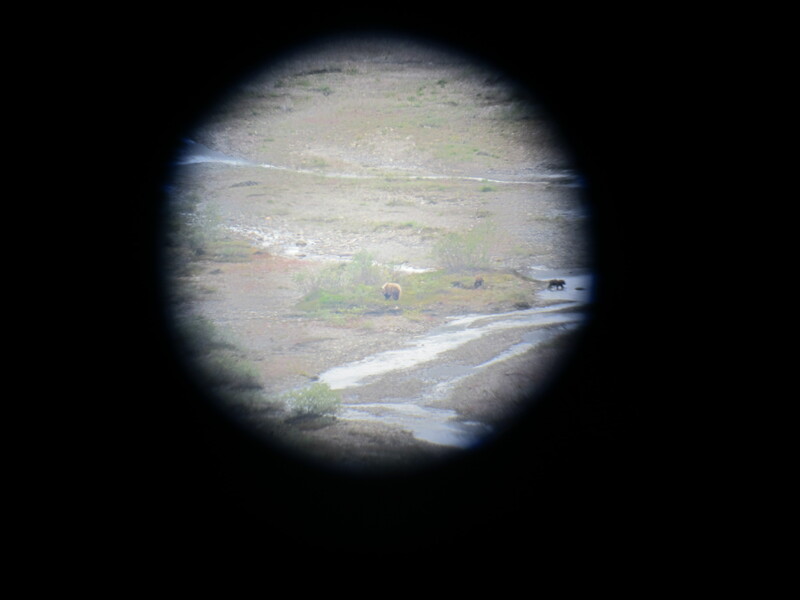 We watched this sow and cubs for most of the day feeding below us. We decide to head high tomorrow. It took most of day-6 to climb up and over this high pass. We spott 65 sheep and a bachelor group of 8 bulls. 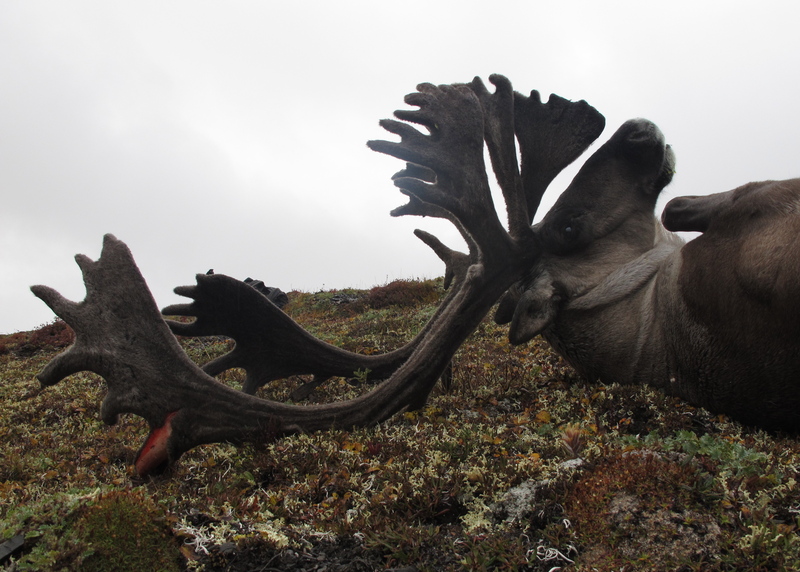 This old bull was asleep in his bed, antlers laid over on the lichen. 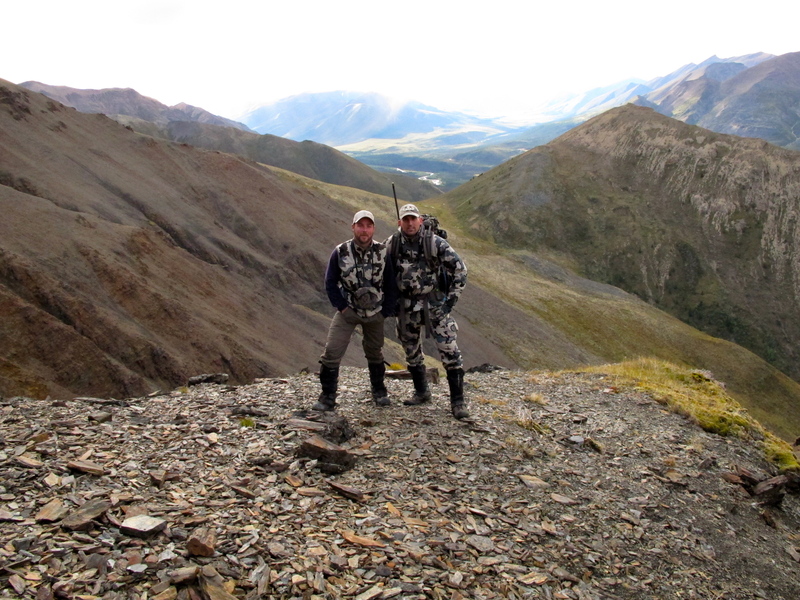 Kent and I discussed the challenges with the location of these bulls. They are high on the mountain, it was getting late, we were miles from camp, it was raining with a low cloud ceiling and it would be over an hour and 1500 vertical feet to get into shooting distance. Against better judgement we make a move on these bulls. 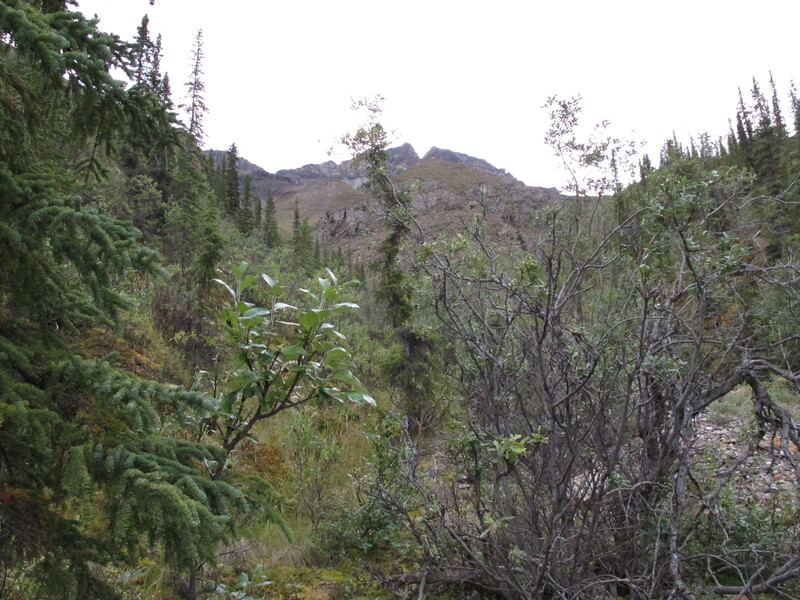 We climb up a shale shoot and onto finger ridge you can see in the photo 348 yards across from the 8 bulls. It was raining and the bulls were right at the cloud ceiling. We could see the bulls through the fog but had to wait it out until it cleared enough to make sure we had the right bull. At 8pm the fog lifted slightly and the rain stopped and as if on cue the old bull stood up and turned broadside. This bull is absolutely spectacular, the photos do not do him justice. He grosses over 400 inches, lots of mass and heavy palmation. 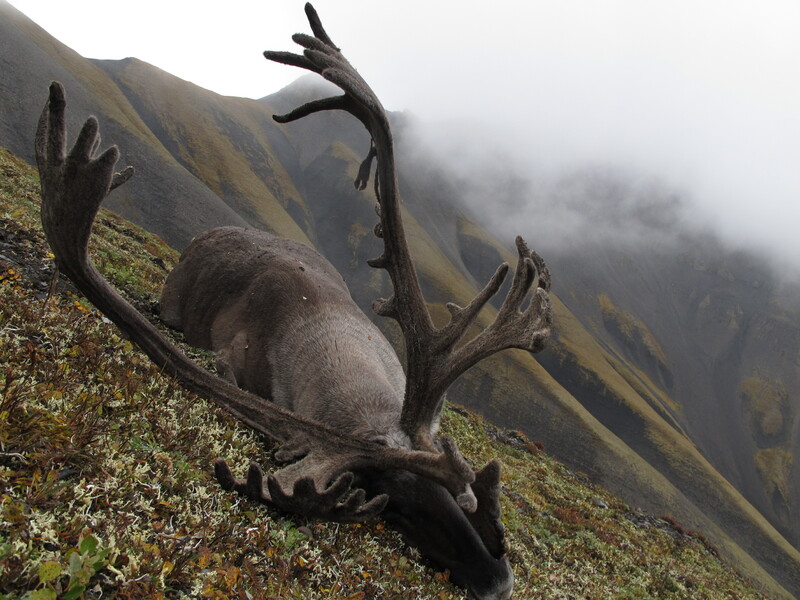 I am absolutely thrilled, a Mountain Caribou of anyones dreams. 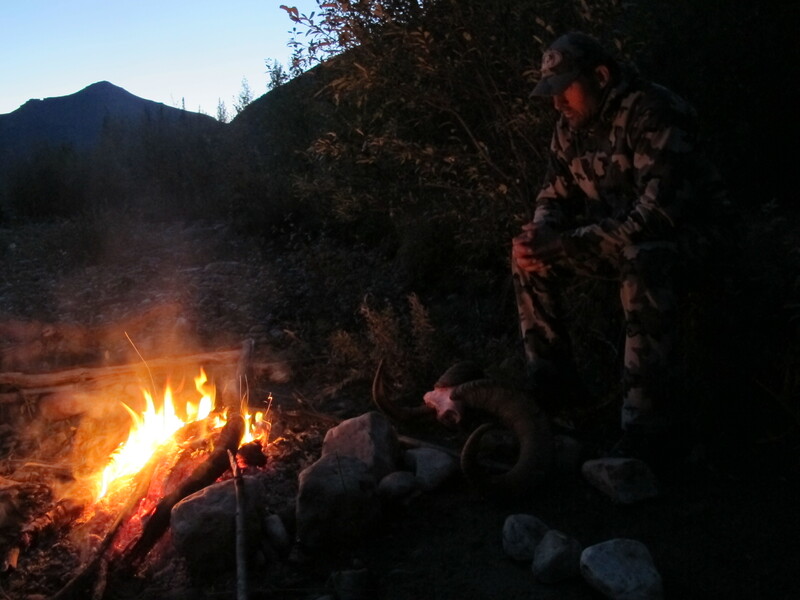 We earned this bull with the pack-out, we began heading for camp with over 100 pound packs full of meat, antlers and cape at 12:22am and after a hard climb and side hill in the dark, rain, fog and through a never ending boulder field we arrived at camp at 6:30am. I did get to see the Northern Lights during the hike back to camp which I was convinced were hallucinations from exhaustion. 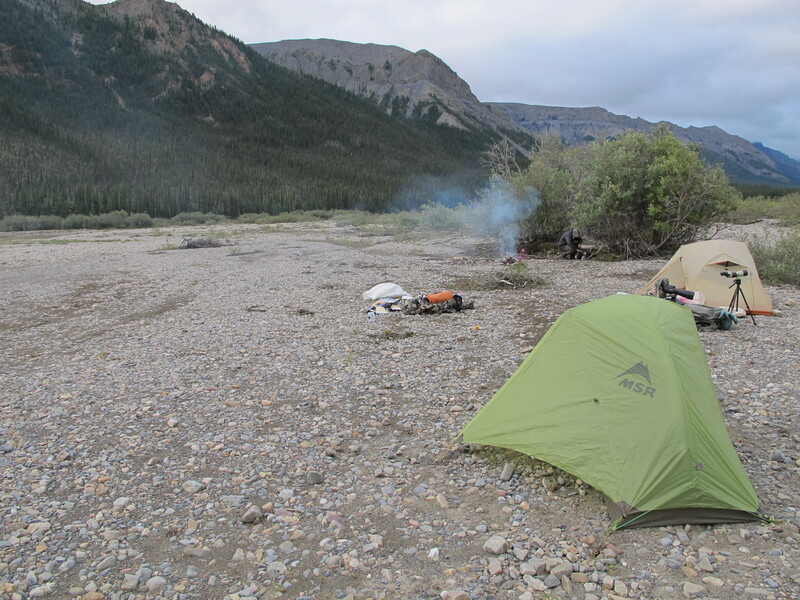 We flew back to camp on Day-8 and spent two days at base camp recovering and taking care of meat, horns and antlers. Truly a hunt of a lifetime. Nice! Congrats on the hunt. The gods of the hunt were very kind to you. Thanks Larry! It was an amazing trip and the Gods were kind. That is a job well done! Way to go Jason, what a special place on earth! Wow! Nicely done, Jason – what a hunt!! 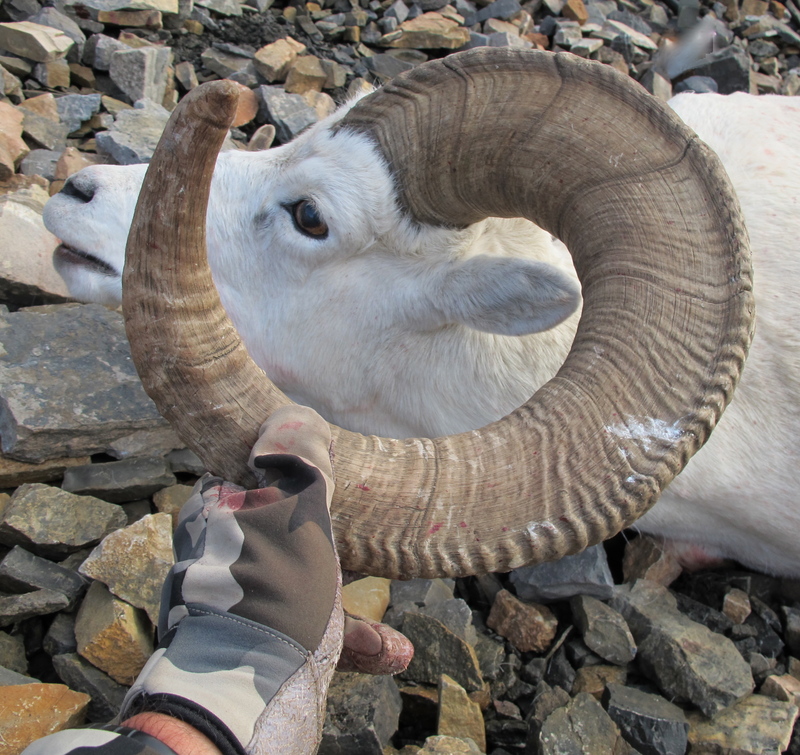 I can’t get over the horns on your ram…what a gorgeous animal! Congrats on an epic adventure in the far north! Beats the livin’ tar out of last year, huh? Yep, the hunt ran the way a sheep hunt should. It was epic for sure. Thank you for taking the time to comment. 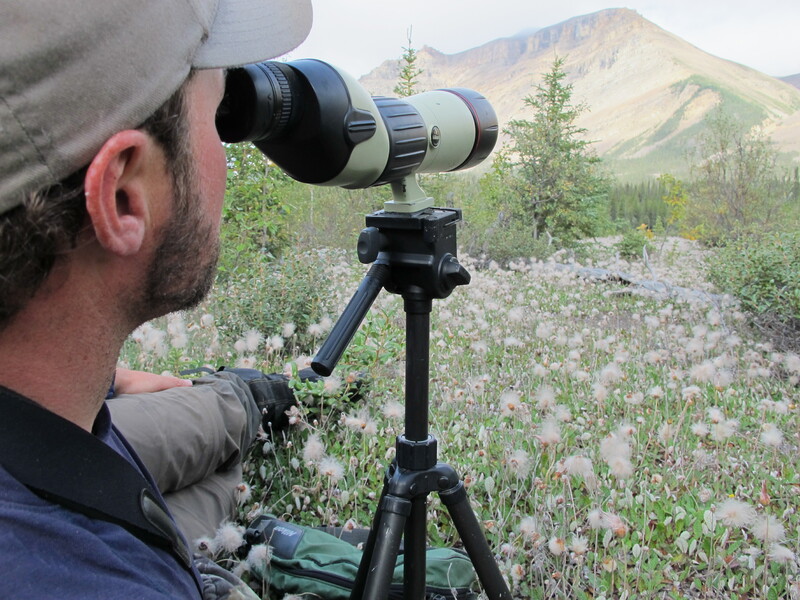 And your mountain caribou – jeez…I’m speechless. Wish I lived closer so I could measure your animals. Thanks Tom! 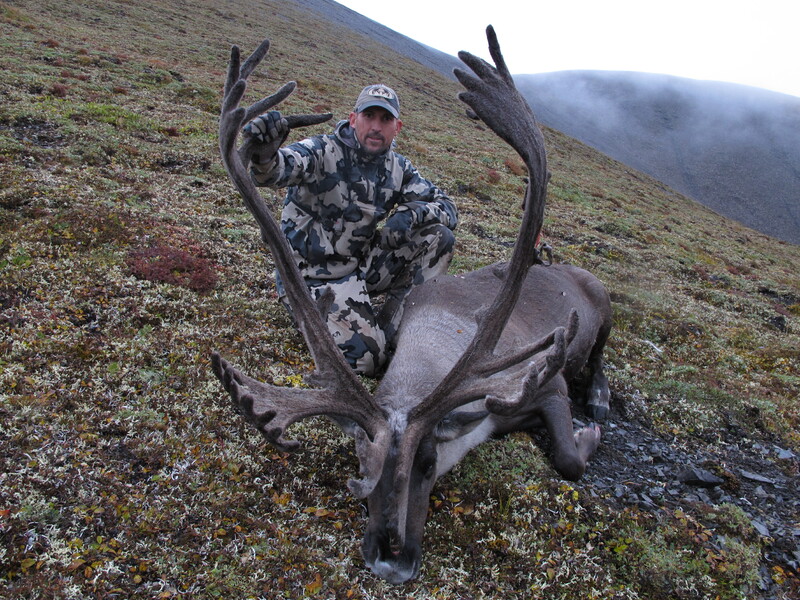 The Caribou is a dream bull for sure! Absolutely Beautiful! All of it, the scenery, the game, and the story. Congratulations on filling out 2/3 of my bucket list. What an amazing trip J!!! I was dying with anticipation to hear what happened. Those animals are beasts!!! Congratulations on a well deserved hunt!!! LOVE IT!!! Congrat’s!!! Absolutely amazing animal’s and pictures. If anyone could ever, ‘deserve’ that- You are the one!!! I couldn’t be happier for you, look’s like it was an adventure of a lifetime!!! Thank you Jeff, your compliments and nice words are really appreciated!! Thank you. An awesome hunt! Beautiful animals, beautiful scenery, and sounds like great company. What more can you ask for….. Thanks for sharing the pics and notes. Someday I will make such a trip! I hope you will, it will be the best trip you have been on. HUGE congrats to you on an absolutely incredible trip. Both of those animals are tremendous trophies, a trip of a lifetime indeed! And well done of the story and photos, truly top notch all the way around – as always. And this may be way out of left field, but were you in the Seattle airport this morning? At any rate, congrats again, and thank you for sharing. I was in Seattle Airport this morning? You, obviously? Thanks for the compliments regarding the story and photos. Hahaha! I heard Alaskan Airlines page “Jason Hairston” when I flew up here Monday morning and figured the timing would be about right, and what were the odds? Anyhow, congrats again. That is a small world Kevin. TSA wanted to take a look at my new Rifle. They could not believe how light it was, so they paged me to open the case. Congrats Jason, great ram, bull and story. mckenzies are a tough spot, glad to see the gear hold up to the challenge. Thanks Kelly! The Mackenzie’s certainly will test you. Congrats on a great hunt! 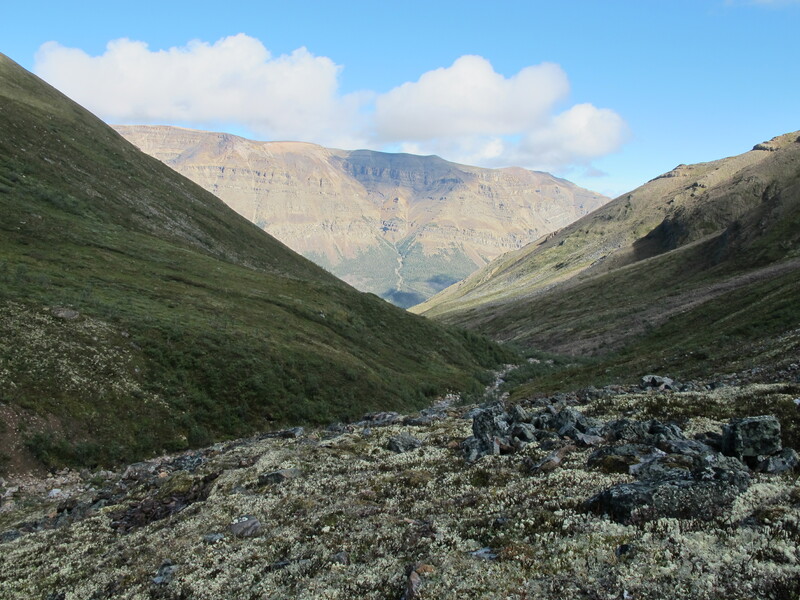 It was good to meet you as we crossed paths at Arctic Red base camp. 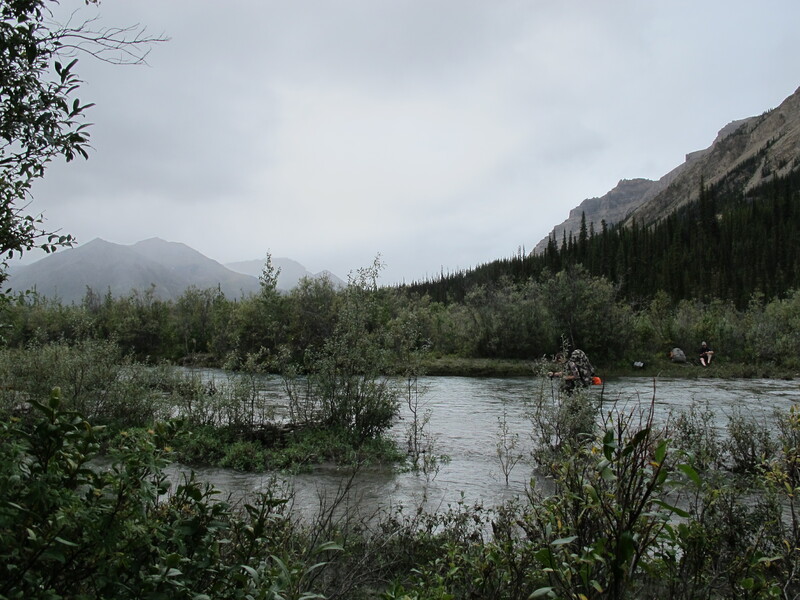 I am looking forward to my trip back to Arctic red river next year and hope to complete my quest for a Mtn Caribou. It was great to meet you as well. Glad to hear the gear worked well for you. Keep me posted on your upcoming hunt and if there is anything else I can do for you. Thanks for sharing this amazing hunt. Congratulations Jason !!! When the dreams become true, it’s just perfect. Thank you. I could not have said it better! Congrats Jason…nice critters and a good pictoral of the hunt! Thank you Mike. Good luck on your up coming hunts. Isn’t it awesome there are still places like this to hunt ? 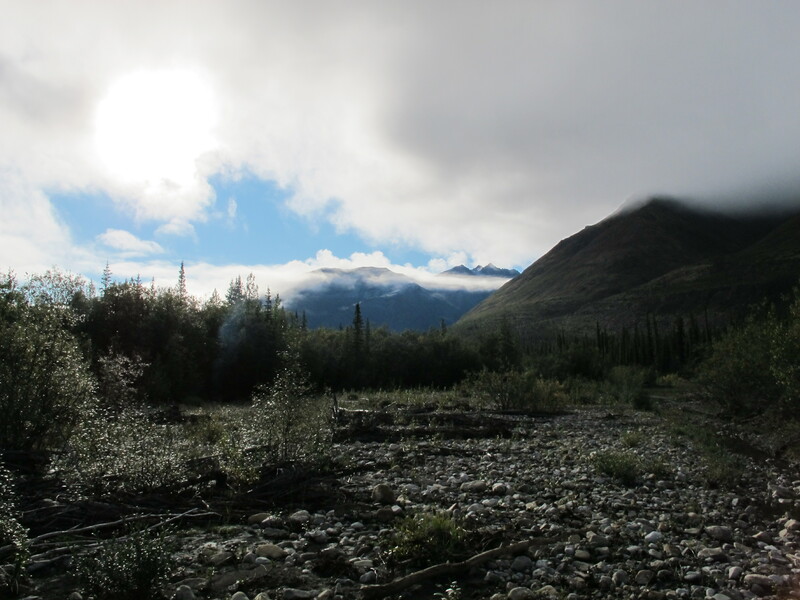 Every hunter should do Alaska or a similar adventure. 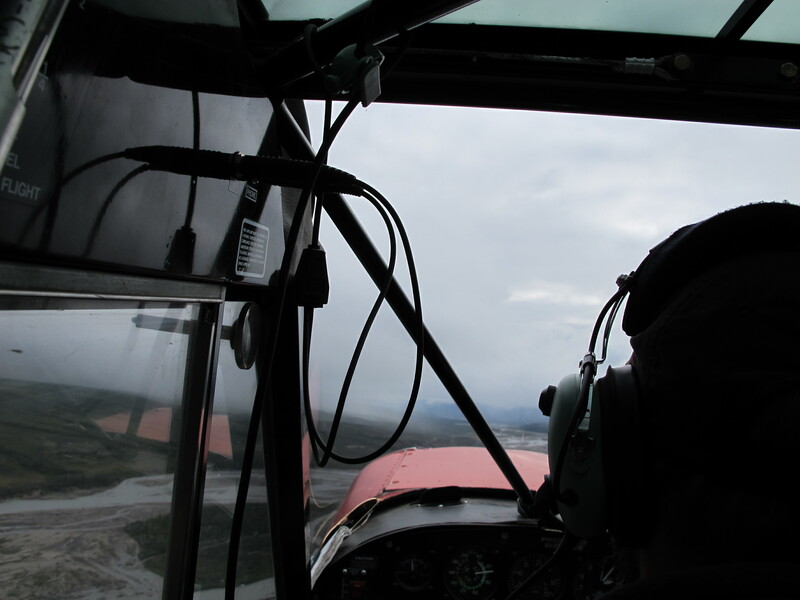 The land, the animals, the pilots and the guides are great. Congratulations dude ! Thank you. That is exactly what I was thinking on the way home. Thankfully there are still places like this to hunt. I cannot wait to go back!!! Very nice hunt! What a bou and I’ve seen hundreds this year already but not one like that! Thanks Mike! That bou is a stud, I could not be more proud! What a beautiful ram! 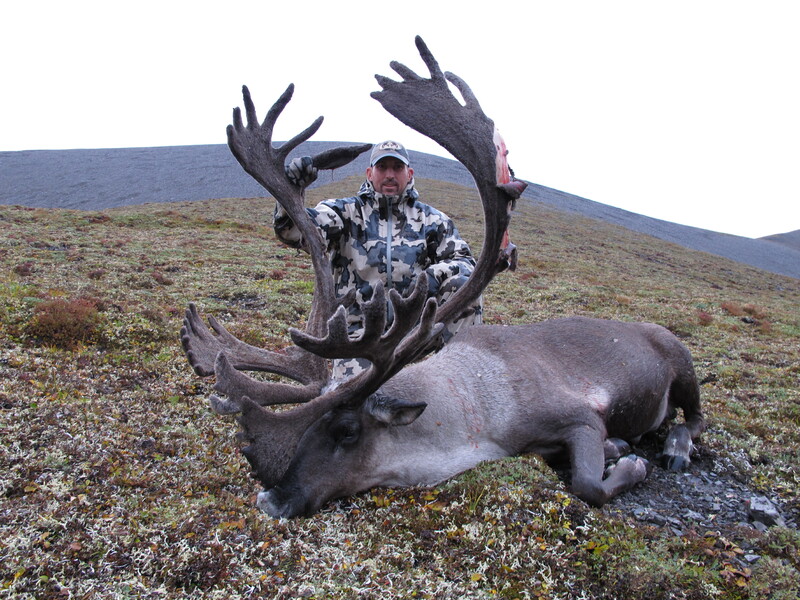 I didn’t know that mountain caribou was on the list too! Incredible! I don’t know about everyone else, but now work seems even more boring being reminded now that perfect places with perfect animals are out there. Thanks Ryan. Arctic Red is certainly that place. I hope you will have the chance to experience it someday. WOW is all I can say! Fantastic hunt and thanks for taking the time to post the report with all the images. Congrats Jason, truly a hunt that most of us will only experience through post like these. Thanks Kendall. This is a hunt right in your wheelhouse. 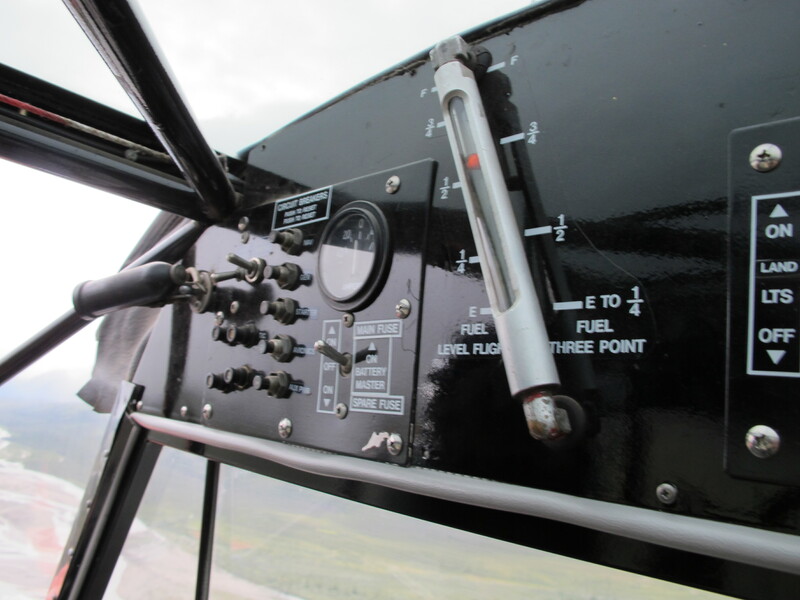 Very technical and demanding. Great story and welcome to the thin horn club! 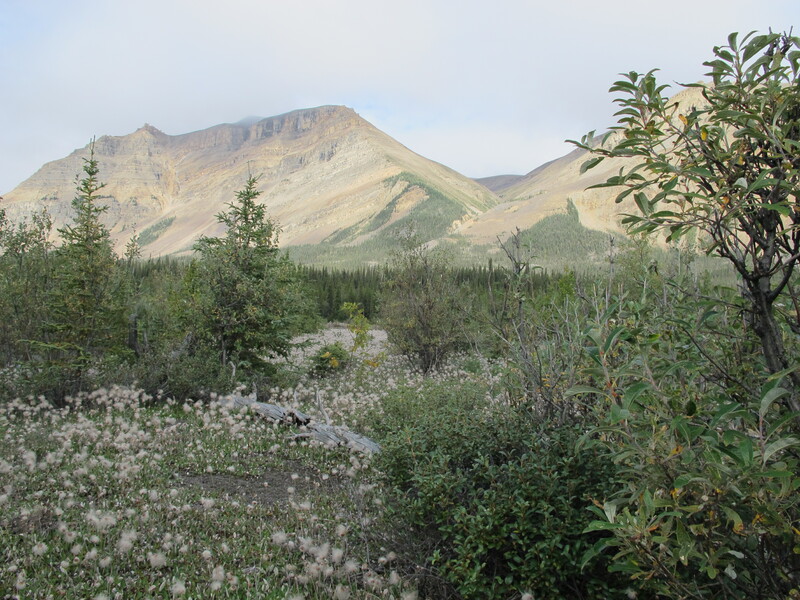 Nice to see you continue on after the sheep hunt to go after Caribou, a lot of people would be done once they got their sheep as any sheep hunt is very demanding on the body Can’t wait to hear about the gear and how it stood up during the hunt. Thanks Jeff. The hook is set deep after that trip! Wow!!! Awesome animals and congrats Jason!!! 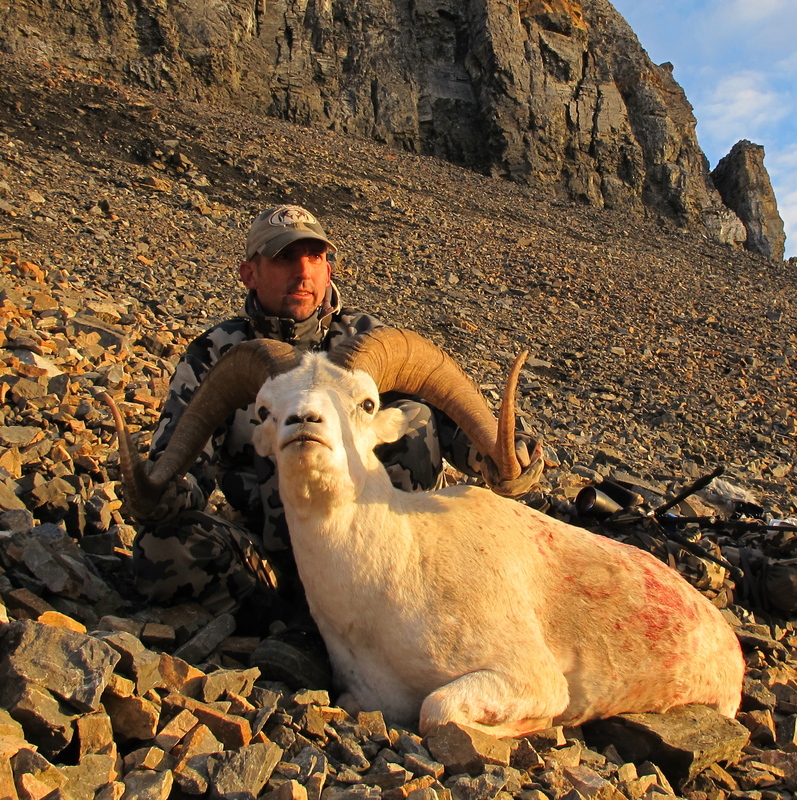 Cool Photo’s and story.I shot my ram there in 2007 with Jeremy Bergin on the 9th day and didn,t get to hunt caribou.Artic Red is the most beautiful spot I’ve hunted.It’s an adventure just getting there.The most prestine sheep country left.congads on a beautiful ram and a real good caribou. Thanks Rick. 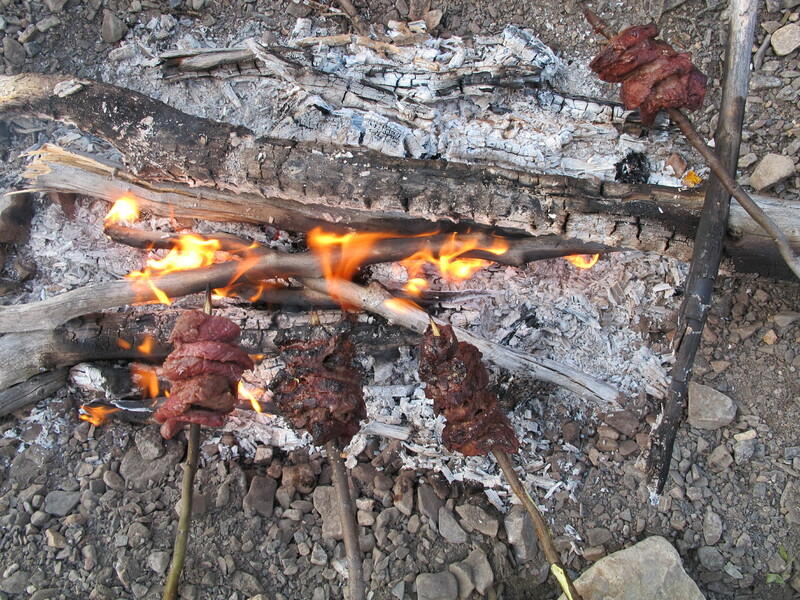 Dall Sheep on an open fire are the best meat you will ever eat. I could not get enough. Every hunter should experience this in their life. Hey Mike, thanks for the nice words. Arctic Red is spectacular. Utterly amazing animals! Thanks for sharing such an experience with us. Thank you! Certainly a trip of a lifetime! Thank you Chris for taking the time to comment. I really appreciate it. Fantastic animals and hunt. Excellent photos and report. Thank you for sharing your hunt with us. Thank you Stephen for the nice comment. Congrats! What an adventure and two beautiful trophies! Thanks for sharing. What type of mount are you doing for your ram? Thank you! I am going to do a pedestal mount for both the ram and caribou. Well done sir, been lots of fun following your adventures since “Sheep Gate” last year and now an absolutely perfect white sheep and bruiser bou. And now the big question, which species is on the list next??? I am not sure what is next for 2012. I would love to return to Arctic Red. 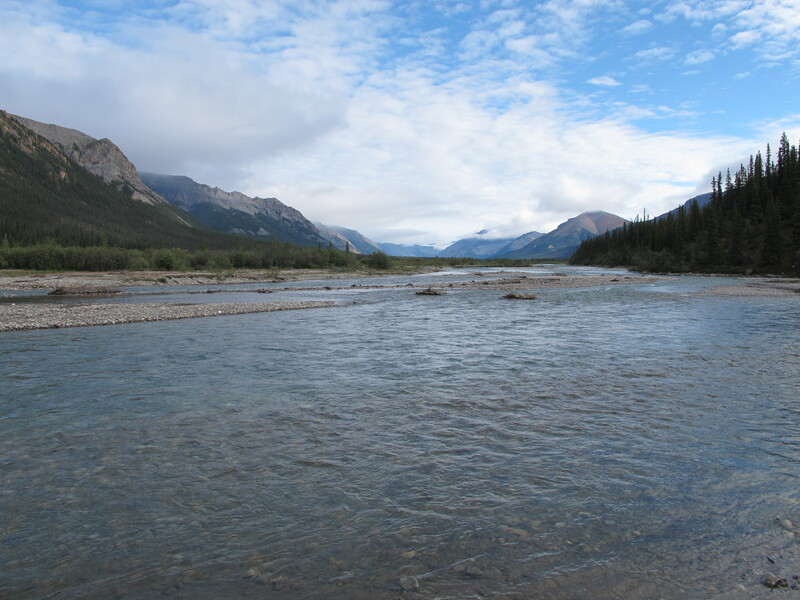 It is the most pristine country in N. America. Wow Jason,… great times and outstanding animals. I especially liked the ram sharing your campfire! What are your thoughts on your preperation, gear performance, what you would do differently or change?? I will give a full break down on a post in the next few days. This is a great question. Whammy! Great job J, congrats to you and your guide. Thanks Rob, I really appreciate it. The guide Kent was a stud! Congratulations Jason! Awesome photos, beautiful animals! Thanks for sharing. The hunt looks awesome! I hope to do a hunt like that one day. Thanks Shane. 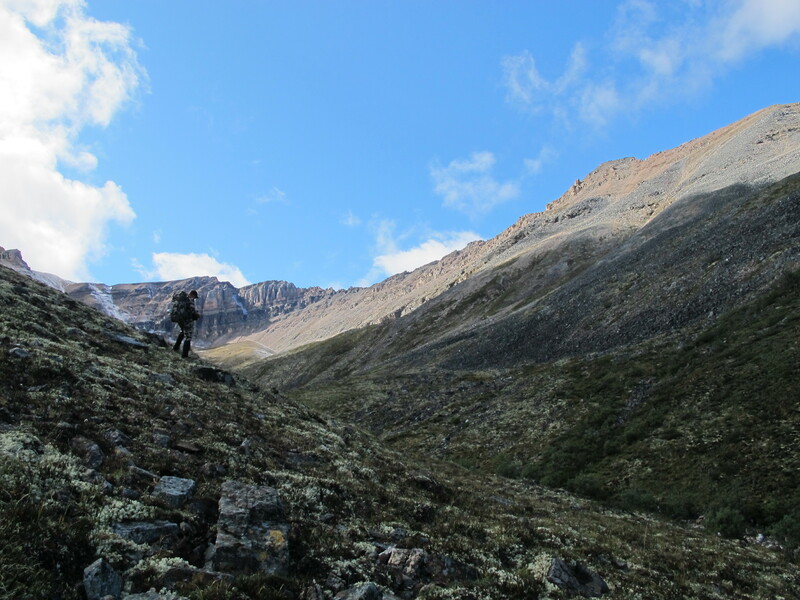 This trip is worth every penny and a must do for every hunter who wants to experience the tradition of a backpack mountain hunt for sheep in untouched country. 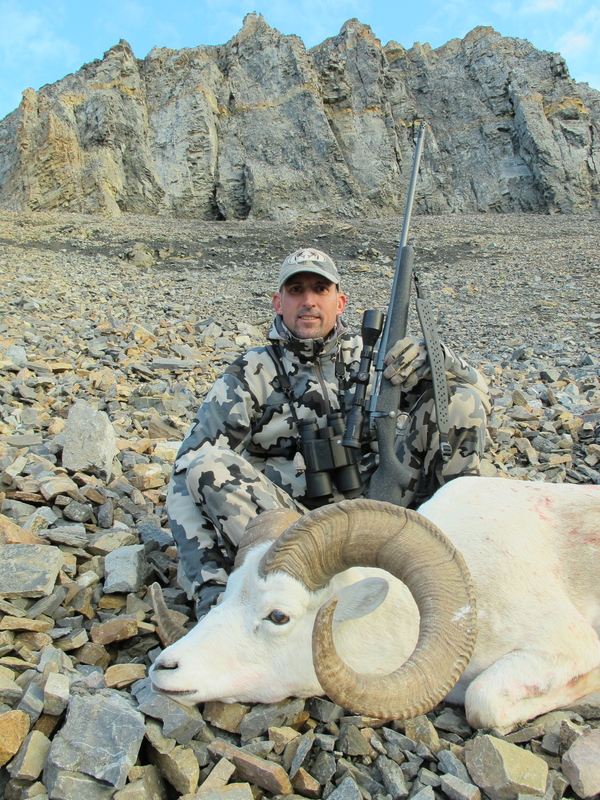 Congratulations Jason – great Ram and Caribou! How about a short story for the next CA WSF Newsletter? Congratulations! Both the ram and the ‘bou are outstanding; I’ve seen some nice ones, but none as nice as either of yours. Couldn’t happen to a more deserving guy either!